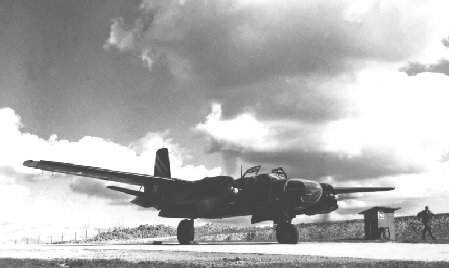 Sembach B-26 on a ground check after engine overhaul. Circa 1954, Sembach Air Base, Germany. Sembach B-26 on a ground check after engine overhaul. Date of this photo is 1954. Courtesy of Ron Lang..